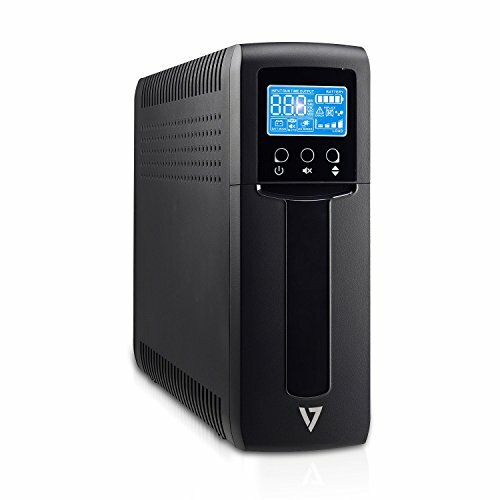 The 1500VA Tower UPS from V7 provides a backup power source for computers, laptops and other powered peripherals. It ensures a consistent flow of electricity to help prevent equipment failure and data loss during power failures, brownouts, or other power issues that can occur with power in your building. The tower design features a quick-access front panel that makes replacing batteries easy, plus its energy efficient. Additionally, it features Auto Voltage Regulation (AVR) to ensure a stable flow of power and a longer life for internal batteries, and it features Audio and visual alarms to keep you aware of status.